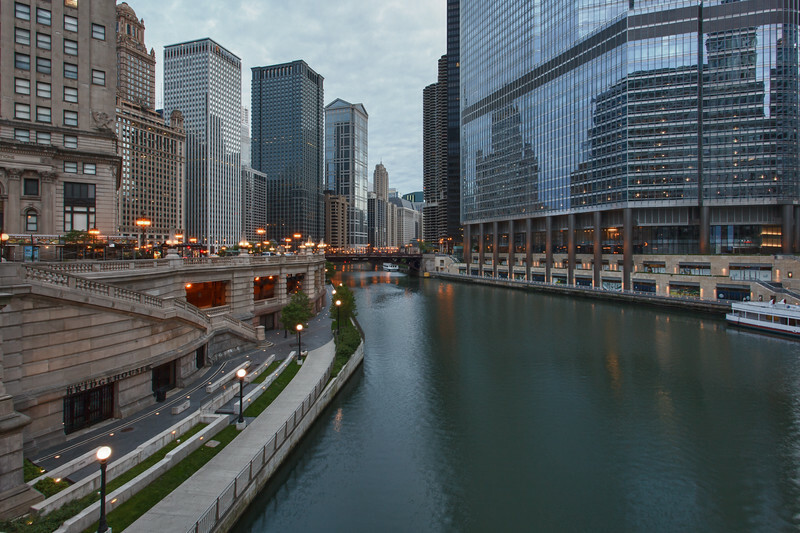 The Chicago Riverwalk isn't a continious path along the river. At every bridge footing you have to climb stairs, cross the bridge and then go back down. From the little I've seen that extra challenge seems to appeal to a number of joggers. Brody didn't get much joy of it though. Walking across, open grates and rumbling, shaking bridge decks was not his cup of tea.